It seems like the Skylane is everyone’s friend. It’s certainly one of mine. 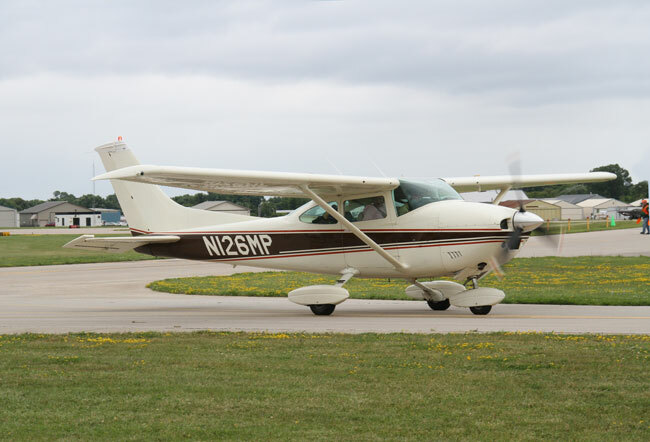 The Cessna 182 was the first honest four-seater I flew after earning my license, and I loved it. If you’re like me, you’re probably among the thousands of Skylane enthusiasts. That’s not surprising, as the Skylane exemplifies the primary qualities that have endeared piston-powered Cessnas of all varieties for years. Skylanes aren’t outstanding in any parameter. They are, in fact, extraordinarily ordinary. They’re not the fastest, the quickest climbing, the best handling, the easiest to land, the most spacious or comfortable, the least expensive to operate or the optimum value. Their great value on the used markets is that they combine so much capability in so many areas that their collective score places them among the very best buys in the industry. That’s in keeping with Cessna’s design philosophy on virtually all its piston products. The seemingly ageless 150 is still regarded by many instructors as arguably the best, most cost-effective trainer available, though it has been out of production for 30 years. Similarly, the Cessna 172 Skyhawk continues to make friends and influence pilots at a slow but prodigious pace. It’s been around forever, it’s almost ridiculously easy to fly, and for that reason, it has an enviable safety record. Though the Cirrus SR-22 now outsells the most popular Cessna, the 172, the Cessna entry-level four-seater’s uncommon combination of economy, simplicity and safety has allowed it to sell some 43,000 examples, making it the world’s most produced airplane. The Skylane is the next step up in Cessna’s piston ascendency, and it shares the Skyhawk’s popularity and longevity, both new and used. In a sense, the current Skylane is practically alone in its class. (The only head-to-head competition, Piper’s Dakota, was discontinued in 1994.) The Cirrus SR-20 is the only other current production airplane that comes close to competing, but it’s lighter and 35 hp shy of the Skylane. The 182 continues to serve as the company’s step-up single, a true four-seater with performance only a few steps below that of an entry-level retractable. Add reliability that has become legend, and operating economy that’s well within most families’ budgets, and the Skylane’s universal attraction on the used market makes perfect sense. Steve Champness, National Account Director for Trade-A-Plane, one of the industry’s foremost aircraft sales publications, says a used Skylane is the number-one search item for prospective buyers on TAP’s site. No surprise there. The original 1956 Skylane 182 was hardly revolutionary. By today’s standards, it was a blockish, uninspired design that shared its two smaller siblings’ stubbornly vertical tail and fastback fuselage. Full paint was an option, and like so many other new products, there were plenty of bugs left to be ironed out. As every pilot who hasn’t been living on the dark side of the moon knows, the model 182 was a nose gear adaptation of the earlier, tail-dragging Cessna 180, an airplane that was to become revered for its ready adaptability to a variety of off-airport and on-airport jobs. Cessna reasoned correctly that nosewheel steering was the wave of the future and would make the 182 more attractive to a wider range of pilots. Like the 172, the 182 was fitted with a 36-foot-span, NACA2412 wing, an airfoil that accentuated lift rather than speed. In combination with the 180’s huge, barn-door flaps, the wing imparted a stall speed under 50 knots, slow enough to allow runway performance that wasn’t quite STOL, but it was close enough. Though Cessna 180s are now long out of production, they still serve with Maules, Stinsons and Helios in the backwoods of Alaska and Canada. Cessna’s first 182 wasn’t the major engineering problem you might imagine. The main gear needed to be relocated aft to preserve the CG, the engine exhaust system had to be repositioned and redesigned to accommodate the nosegear, and the fuel vent system had to be reconfigured for fuel management. Cessna knew the front wheel of the tricycle would need to be strong and durable to avoid pilots wrinkling the firewall by landing nosegear first, so that gear was shortened and placed farther aft rather than directly under the engine’s center of mass. The 230 hp Continental O-470 had been a reliable powerplant on the Cessna 180, and Cessna adapted it directly to the 182. In fact, the Continental was retained in the same basic configuration for a full 30 years until Cessna shut down all piston production in 1986. TBO was an optimistic 1,500 hours, but that was considered good longevity for an engine created in the 1950s. For pilots stepping up from the Cessna 172, the 182 was and is a lot more airplane in a lot of ways. With all-around performance better than that of its competitors’ entry-level retractables, the 182 satisfied many pilots’ total aviation wish list. Photo by Raphael Brescia. The first 182 flew away from the Wichita factory at an average equipped price of $17,700, and Cessna immediately began to upgrade and improve the model. Over the next 60 years (the Skylane was out of production between 1986 and 1997), there were dozens of improvements, and we could fill the rest of this issue with the full list of model enhancements. Instead, we’ll confine our explanation to the high points. Cessna swept the vertical tail in 1960 with the 182C. While the vertical stabilizer’s center of pressure did move slightly aft, it’s unlikely that tail or rudder power increased by a measurable amount. The gear was lowered slightly in 1961 with introduction of the 182D to improve ground stability. Model year 1962 saw major refinements to Cessna’s true four-seater. The 182E addressed a number of areas with meaningful improvements that would emphasize both aesthetics and systems operation. Cessna revised the empennage to a notchback design that accommodated a steeply slanted rear window, providing the Skylane with a more modern look and a mail-slot view to the rear quadrant. Flaps went electric, and the cabin was widened four inches and lowered three-quarters of an inch to improve both horizontal and vertical comfort. The gear was beefed up, gross weight increased to 2,800 pounds (from the original 2,550 pounds), and the Continental engine was assigned a new variant, the O-470R. Along the way, Cessna offered long-range fuel tanks of 84-gallon capacity as an option (that nearly everyone bought), contained in bladder tanks rather than wet wings as on the original 182. The 1963 model 182F featured a one-piece windshield and rear window, instruments rearranged in the preferred T-formation and a 10-inch increase in horizontal stabilizer span to improve elevator response at low airspeed. Flap-preselect positions became standard. After seven years of development, Cessna had pretty well worked out the major bugs, and improvements to the Skylane became harder to come by. The 182G offered a kiddie seat in the baggage area and the 182J replaced the generator with an alternator. In 1970, the 182N included a revised landing gear with wider, sprung steel mains, and max gross was increased again, this time to 2,950 pounds. The 1972 model added a leading edge cuff to improve handling at low speeds, and the 1977 model Skylane got a slightly revised version of the Continental O-470, the O-470U, granted a 2,000-hour TBO (after the first overhaul). By 1978, Cessna again boosted gross weight, this time to 3,100 pounds, in hopes of keeping pace with the airplane’s ever-increasing empty weight. The electrical system was boosted to 28 volts, and standard fuel became 88 gallons. 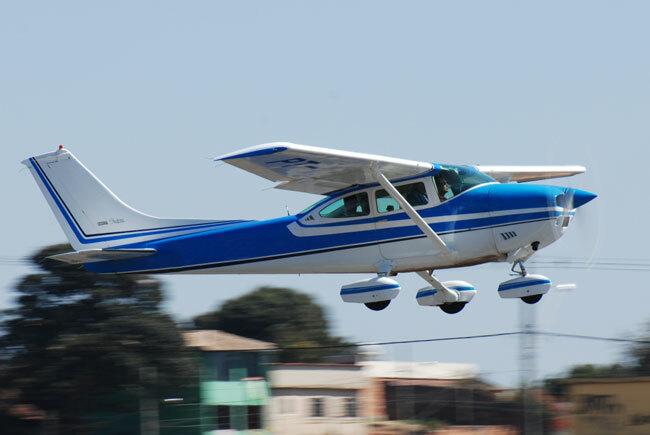 Cessna continued to build the normally aspirated Skylane to the shutdown of all Cessna piston production in 1986, but the company added a turbocharged option in 1981, featuring a 235 hp IO-540 Lycoming engine. In other respects, the Skylane remained relatively unchanged. Cessna resumed piston production in 1997 after Congress passed the General Aviation Revitalization Act of 1994, imposing an 18-year statute of repose on lawsuits against aircraft manufacturers. Accordingly, Cessna President Russ Meyer reintroduced the Skyhawk and Skylane in 1997. Rather than install a Continental in the normal Skylane and a Lycoming in the heavy breather, Cessna standardized the model with fuel-injected, 235 hp Lycomings. In the early 1990s, Cessna constructed a new production facility in Independence, Kansas, to produce the millennial generation piston airplanes, along with the company’s upcoming Mustang jet. Build quality and materials on the new Skyhawk and Skylane were notably improved, and while there was little need for change, as Cessna had refined the model over the first 30 years, the company still made several noteworthy improvements. They added more crashworthy seats, improved fuel drains, a few aerodynamic improvements to eke out a couple more knots and a nicely updated interior. The big news on the post-’97 182s was unquestionably introduction of the Garmin G1000 flat-panel display on the 2006 182T model. The first 182 was sold at an average equipped price of $17,700. Over the years, Cessna made dozens of model improvements including the Garmin G1000 flat-panel display—introduced on the 2006 182T model. Photo by Michael S. Kennedy. To date, Cessna has produced around 24,000 fixed-gear Skylanes of all varieties, and in many respects, they’re remarkably similar machines. There are, however, some differences you should be aware of. The first Skylane 182 was certified at a gross weight of 2,550 pounds, and the most recent model, the 182T, has a max gross of 3,100 pounds. You might reasonably expect that useful load would have improved proportionately, but you’d be reasonably wrong. 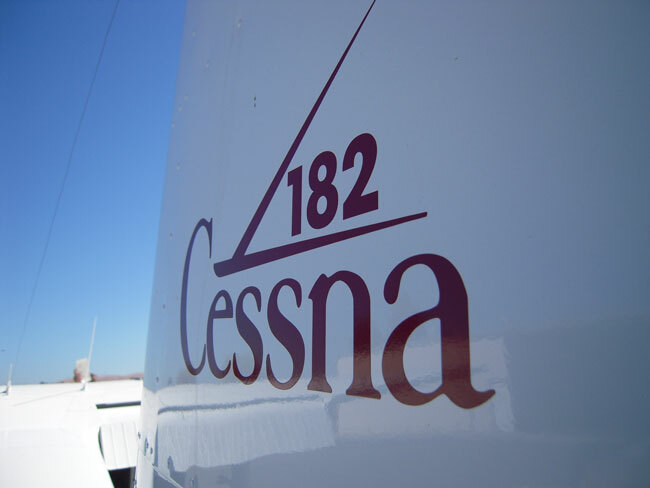 Cessna specified an empty weight on the 1956 model at 1,560 pounds against a 2,550-pound gross, and the same parameter on the newer 182T was 1,860 pounds from a gross of 3,100 pounds. In other words, gross weight increased by 550 pounds, but useful load only went up 300 pounds. If you do the math carefully, however, you’ll note that Cessna stayed one step ahead of the game by increasing fuel capacity on the newer models. Max fuel jumped from 55 to 84 to 88 gallons. That meant full fuel payload remained nearly the same—670 pounds on the early model and 712 pounds on the later version. Both weight limits are roughly equivalent to four “standard” 170-pound occupants, though the FAA is considering raising the typical weight per pilot/passenger to 200 pounds. With a 680-pound payload with full fuel, early Skylanes were famous for lifting big loads. Photo by Dave Miller/Armchair Aviation Photography. Operationally, perhaps the Skylane’s most renowned talent has always been its ability to fly away with as many people as it has seats. A 680-pound payload with full fuel is an impossible dream for many manufacturers, but the early Skylanes were famous for lifting a big load. As mentioned above, there was even a kiddie seat option in the baggage compartment if you had the weight and CG allowance. Just don’t ask the kiddie what he thought of it. The 182 features a fairly large, comfortable cabin with multi-adjustable seats. Some even offered dual vent fans to help cool front and rear seats independently. The windshield and side windows are large and accommodating, but not both at the same time. The panel is set high, and unless you’re tall, the view forward is limited, especially during the landing flare. Conversely, the side windows are mounted low beneath the wings so that most pilots and passengers need to scrunch down in the seat to see out the sides. 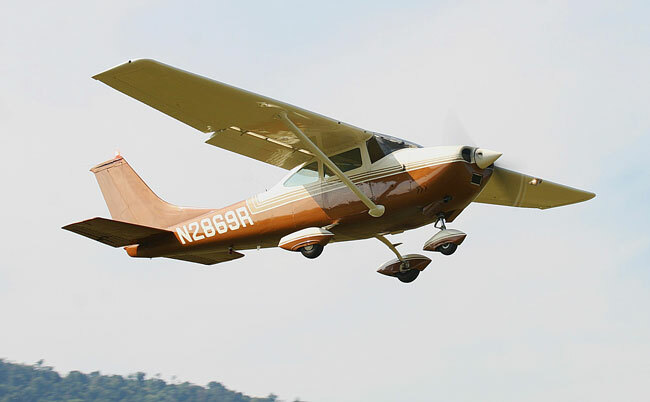 As the Skylane matured (gained weight) and buyers began ordering more options, empty weight began to climb faster than Cessna could re-certify the type for higher weights. Adding fuel to the final 88-gallon capacity allowed pilots to continue to fly with four folks aboard over longer range. At 12 to 13 gph and a block speed of 130 knots, endurance was as long as 6.5 hours plus reserve, enough for trips out to 850 nm. At 3,100 pounds gross weight (for the S and later models), the 182’s CG can be somewhat critical, especially with the balance point at the forward limit. Under some loadings—two big men up front and full fuel—the airplane can run out of elevator during landing. This is a bigger concern than you might imagine, as the Skylane has always had a heavy nose that demands re-trimming for any pitch change. One way Cessna addressed the problem was to limit landings to a max weight of 2,950 pounds. If you depart at gross, you’ll need to burn down 150 pounds (25 gallons) of fuel or ask one of your passengers to step outside before returning to land. 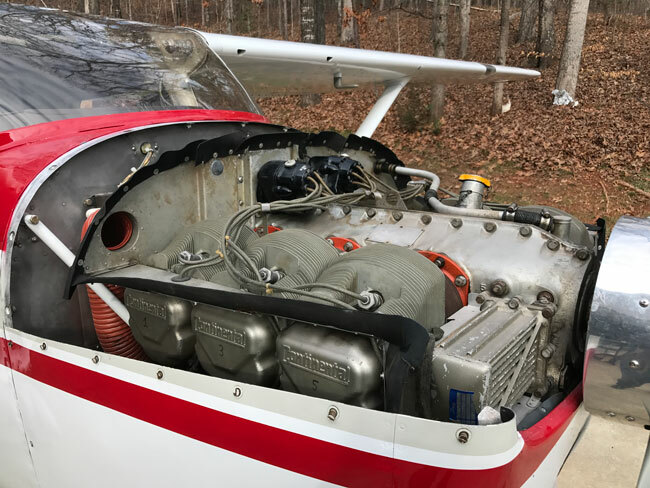 A reduced max landing weight well below gross is common on turbine equipment and not that unusual a requirement for many general aviation airplanes, but few manufacturers publicize it. Piston engine-specific fuel consumption (sfc) is fairly immutable at 0.42 lbs./hp/hr., so the Skylane’s burn at 75 percent power works out to 12.5 gph. Four hours is about as long as most pilots and passengers are willing to sit in one place. If that’s the required endurance, and the pilot is willing to leave 18 gallons in the truck, he can plan to carry four folks over 520 miles to the next fuel stop. Aerodynamically, the Skylane is a fairly large machine that manifests a significant equivalent flat plate area—the airplane’s total frontal area translated to a single flat panel. For that reason, it would require a massive improvement in drag coefficient to realize a major speed improvement. Using the 182S as typical, max cruise is about 135 knots with all vents closed, max aft CG, all doors and windows flushed down tight and other parasite drag conditions optimized. We checked several Skylane flight manuals, and while the advertised max cruise number was usually listed as 140 knots or better in the brochures, we couldn’t find any mph/rpm combinations in the cruise charts for any altitude that suggested a cruise over about 136 knots on 75 percent power. The Skylane nevertheless combines avgas and sky with reasonable efficiency. It’s an airplane that doesn’t do anything wrong and is in no hurry to do it. If you’re not in a hurry, however, this is one model that can benefit from 55 percent cruise. Drag rise is apparently less dependent on angle of attack than in cleaner designs. Throttle back to the lower setting, and burn drops to 9.5 gph, but speed is only reduced to 117 knots. That’s a 30 percent reduction in fuel burn in exchange for only a 15 percent loss of cruise speed. Skylanes of all varieties feature short-field performance that’s better than practically anything without a Robertson STOL kit. The 182 is one of the few aircraft that can depart and land in roughly the same distance. Most other airplanes can trap pilots into believing they can fly back out of any runway they can sneak into. Marginally, not so. The earlier model 182s with gross weights of 2,950 pounds or less can clear the ground in 600 to 700 feet in sea level/standard conditions while the later, heavier models require more like 800 feet—still impressive performance. Minimum landing distance for all models is about 600 feet, and the good news is you don’t need to be a professional bush pilot to make the first turnoff practically every time. It’s hard to imagine anyone coaxing a Skylane to its service ceiling, but Cessna suggests you can climb to nearly 20,000 feet in the models A, B, C and D, and 16,500 feet in the heavier, normally aspirated 182s after that. All turbocharged Skylanes featured the Lycoming IO-540 engine, rated for 235 hp and blessed with a TBO of 2,000 hours. These airplanes were good for cruise in the flight levels if you had the time and the need to fly high, and they could manage 155 to 160 knots. Cessna adapted the 230 hp Continental O-470 from the 180 to the 182 and retained the engine basic configuration for the next 30 years. TBO was an optimistic 1,500 hours. Photo by Isabel Goyer. In the 1960s, Cessna began equipping most of its models with VHF and low frequency avionics gear produced by the Aircraft Radio Corporation (ARC) of Boonton, New Jersey. 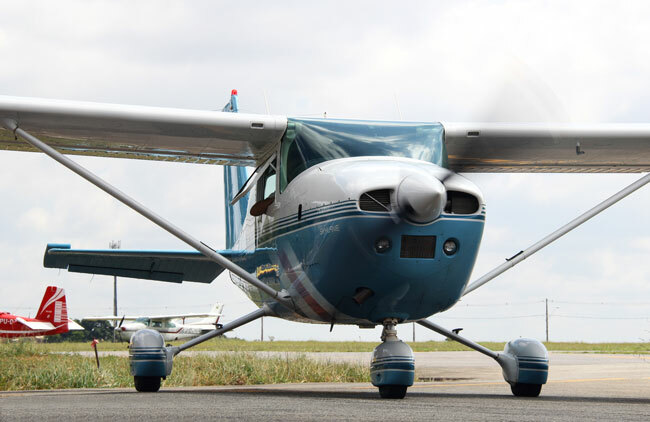 ARC was one of Cessna’s captive brands, and the Wichita company gradually began to insist that all Cessna products be equipped with ARC radios. Unfortunately, ARC avionics had a number of problems, most related to overheating and eventual failure. Prospective Cessna buyers began purchasing airplanes with panels naked of any avionics at all, flying them to home base and having local shops install NARCO or King radios. I delivered a dozen or more of those deaf and dumb Cessnas to the West Coast without any radios (even including one Cessna 310), using portable comms when necessary and flying by reference to Route 66 and other visible navaids. Another caution with older Skylanes applies to wing tank fuel bladders. These could develop wrinkles in the bottom of the tank that could collect water and cause power loss at inconvenient times. The Feds issued an AD on these that demanded more fuel drains on each tank and suggested pilots shake the wing to reposition water to the drains. As you might imagine, this can be an expensive fix. A wrinkled firewall from too many nose-low landings also can be a financial nightmare. You should insist that your mechanic pay special attention to the nose gear and engine mounts on any prospective pre-purchase inspection. The Skylane’s Continental O-470 was famous for its reliability, but not all the way to its 1,500-hour TBO. Most of the 470s demand cylinder work somewhere along the way, often including a full top overhaul. That’s not necessarily a gotcha, but it’s worth checking before you buy. The definition of success in today’s general aviation market has changed dramatically since those halcyon days of the late ’60s, ’70s and early ’80s. In 2015, Cessna sold 33 Skylanes. Forty years ago, that would have been cause to shut down the line and start building hybrid cars, but in today’s economy, it’s regarded as a semi-success. The Skylane continues to attract a coterie of pilots for whom it’s not all about speed, climb, payload, reliability or short-field performance, but about all those parameters combined. There continues to be a strong market for used Skylanes simply because they offer more than enough for less than too much. A recent issue of Trade-A-Plane listed 68 Skylanes for sale, so there’s plenty of stock to choose from. For that reason, the Cessna Skylane continues to sell well to aviators with a need for a simple, reasonably comfortable, 2+2 transport with good performance and manners that are unlikely to bite the average pilot. Any aviator who’s simply willing to stay awake, keep the trim moving, follow the book and not do anything dumb should have a satisfying experience with a Cessna Skylane. Here at Plane & Pilot, we have more than a purely editorial interest in Skylanes. Back in the late 1970s, when I was editor of Plane & Pilot, the magazine purchased a well-used Skylane as a project airplane and rebuilt it to better-than-new condition. The airplane we selected from the hundreds of used Skylanes in a year’s worth of Trade-A-Planes was a ragtag 1962 model 182E with no damage history, poor paint and an original interior. It had been sitting outside for most of its life, but our mechanic felt it had great potential as a fixer-upper. Our choice of the 182E was deliberate. The ’62 Skylane was the first to offer both the swept tail and the “modern,” notchback fuselage. From that very tired and heavily weathered starting point, we embarked on a refurbishment project that was to last nearly 30 years. There were literally hundreds of improvements incorporated into our Project Skylane over that time, and aesthetically, our 182E was updated to look and fly very much like the newer models. 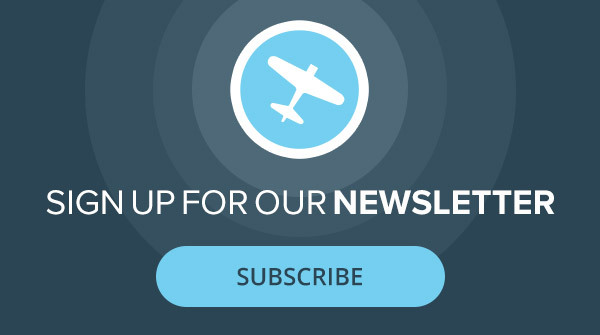 We fitted the old Skylane with a new engine and three-blade McCauley prop, a fully modernized instrument panel with all-new avionics, new paint and interior, and most other updates to bring the airplane to near-new condition. I flew our refurbished Skylane all over the U.S. for several decades, and I was questioned dozens of times in the 1990s and early 2000s about how I liked the “new Skylane.” When I explained that the airplane was a refurbished 1962 model, some pilots were simply incredulous. They couldn’t believe it was possible to transform a 30- to-40-year-old airplane into what appeared to be a new 182. According to the General Aviation Manufacturers Association, that’s more the rule than the exception. GAMA reports the average GA aircraft in the U.S. today is 30 years old. 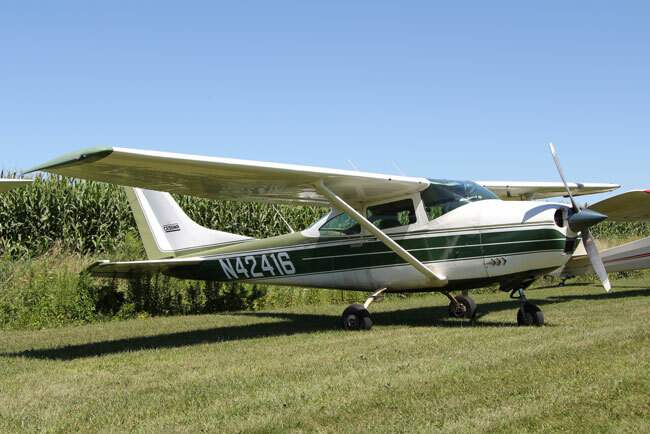 Plane & Pilot sold that 1962 model Skylane 182E 10 years ago, but we’ll bet the current owner still has to answer questions about his beautiful “new” Skylane. Here’s a look at original new prices and current used prices for select Skylanes in the last 60 years. Our source is the standard pricing guide of the industry, Aviation Week’s Aircraft Bluebook, Winter 2016/2017. New prices are for typically equipped aircraft. Used prices are approximate, and might not reflect a fast-changing market. AIRCRAFT BLUEBOOK, Winter, 2016-2017; Spring 2010. Detailed specs on several different Skylane models are available in our Cessna Specifications archive. Check out the newest Skylane and other fantastic single-engine airplanes in our latest Piston Singles Buyer's Guide. The fastback Skylane had full trimming Horizontal Stabilizer. There would be some mechanisms to take care of in those.